Courtesy of Nuffnang, who always give their bloggers to watch free movie few times every month. 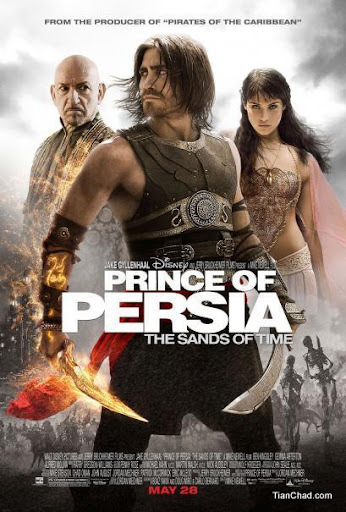 This time we are watching Prince of Persia - The Sand of Time. It is kinda special that night as each and everyone of us were given a can of Mister Potato's Rice Crisps to "nom nom" in the cinema. Happy Nuffies serving us the Mister Potato Rice Crisps along with movie tickets. Among all four flavours, the one that I like the most is Hot and Spicy. Especially when you are watching action movie like Prince of Persia, you want to see someone hot and eat something hot at the same time! Haha! Since I've played the PC game before, i can recognize some one the scene sin the movie do represent the scenes in the game. That's one of the reason I like it so much. 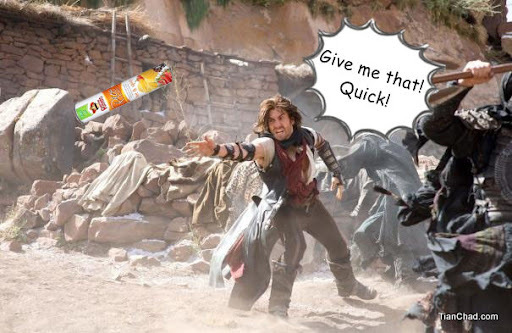 You will like it more especially when Prince Dastan fighting the snakes and enemies using the Dagger of Time. Some more Princess Tamina is the elegant woman who is destined to protect the dagger for her whole life. Overall, the CGI effects made the movie looks really nice although the end of the movie is not so convincing. After that night, I had a dream and this is roughly what happen in it, with Mister Potato Rice Crisps some more! 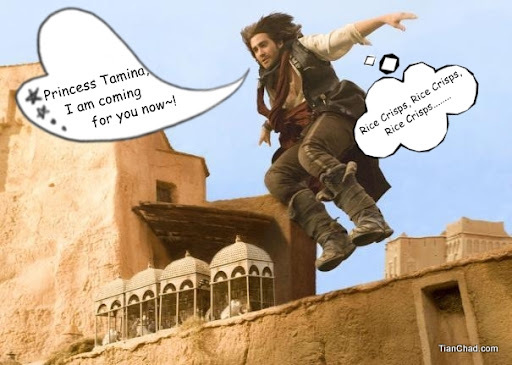 One day, Prince Dastan managed to sneak into the castle of Princess Tamina. He is so happy that he did it with ease. Just jumping and rolling all over the place. 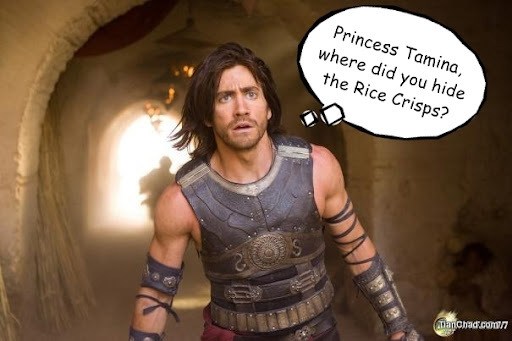 Prince Dastan was so happy that he did it so well and going to look for Rice Crisps Princess Tamina. At the same time the soldiers also broke into the castle. 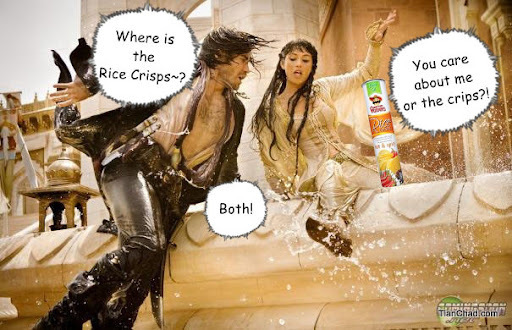 Fortunately on the way of searching for Rice Crisps, Prince Dastan bumped into Princess Tamina who was hunted by the soldiers. So he help her out to get rid of the enemies. 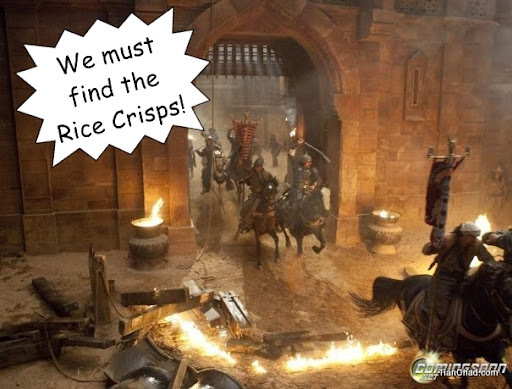 Princess Tamina wished he wouldn't know the secret power of Rice Crisps. 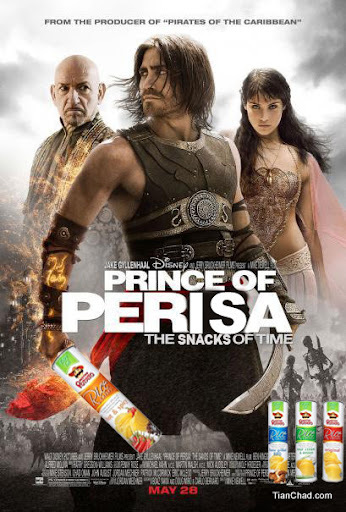 Prince Dastan already know that Rice Crisps has 20% less fats compared to normal potato chips, but he never know about the real secret power of rice crisps. 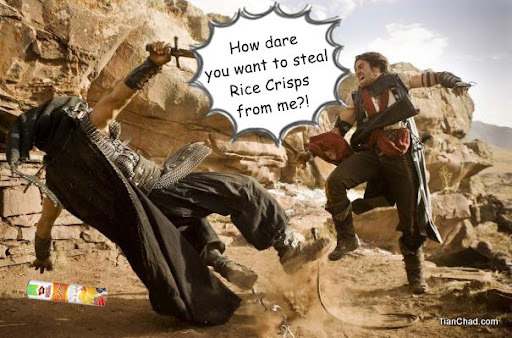 On the way to a safe place, Prince Dastan forced to duel with the dessert robbers who also want the Rice Crisps. There are lots of dessert robber that he need to duel with and he really need helps. 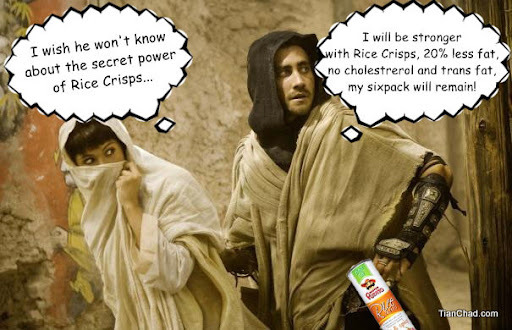 Luckily Princess Tamina share the secret with him and ask him to eat 8 pieces of Rice Crisps in one time. 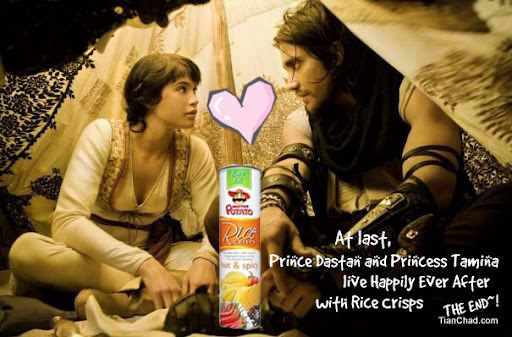 In the end, Prince Dastan and Princess Tamina live happily ever after together with Mister Potato's Rice Crisps. That's the end of my story before I woke up by the alarm. If you like to watch Prince of Persia, I would like to recommend you to watch Prince of "Perisa" too! Production team would be Mister Potato and TianChad.com. I have even design the movie poster too! PS: This is a very simple movie review and contest entry for Nuffnang Mister Potato Rice Crisps Review Contest. I hope it is creative enough after I apply some noob photoshop =D Wish I can do flash too! Thanks for your comment about the movie ya. Thanks =D Wish me luck~!